BIKE PROM 2016 is presented by Cyclepalooza and The GoodLife Community Bike Shop and celebrates the kick-off of Cyclepalooza’s 10-day bike festival!! 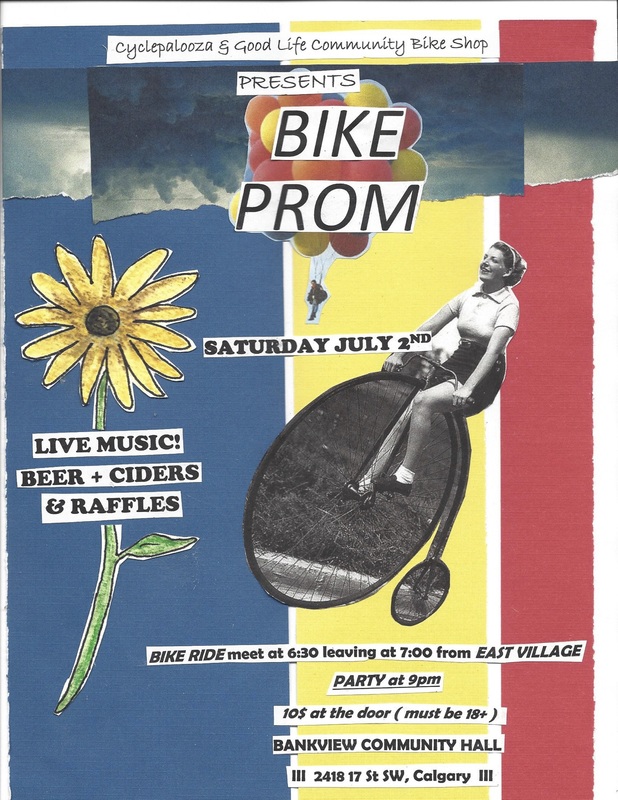 Join us in your snazziest prom attire for a night of bicycling, dancing, music, and goooooood times. We will meet at 6:30 PM at the Simmons Building at East Village. The Bike Ride will leave at 7:00 PM sharp, make its way through the inner city with stops at a few of Calgary’s coolest spots. Anyone and everyone is welcome, as well as all cycling levels and abilities! The ride will finish at the Bankview Community Association around 8:30pm. Doors will open at 8:30 pm back at the Bankview Community Association for the party and live music (18+). $10 cover at the door, to support GoodLife Community Bicycle Shop and Cyclepalooza.